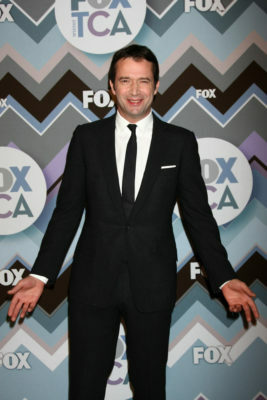 James Purefoy is ready to imbibe. This week, Ovation announced the Hap and Leonard star has joined season two of The Wine Show. The docuseries follows Matthew Goode and Purefoy as they explore “some of the best wines in the world” and tell the stories behind them. Season two of The Wine Show premieres on Ovation on November 15th at 10 p.m. ET / 7 p.m. PT. Los Angeles, CA – October 15, 2018 – Actor James Purefoy (Hap and Leonard, Altered Carbon) joins Matthew Goode (The Crown, Downton Abbey) in the second season of the fan-favorite lifestyle/documentary series The Wine Show, coming to Ovation TV this November. From their beautiful new villa in France, Purefoy and Goode set off on a new challenge in every episode, uncovering some of the best wines in the world, and telling the stories that surround them. Back in the UK, Matthew Rhys (The Americans) is in glamorous and historic London St James’s on his quest to find gadgets old and new. Season Two of The Wine Show will air on Ovation starting Thursday, November 15th at 10pm ET / 7pm PT. What do you think? Have you seen The Wine Show? Will you watch season two? More about: Ovation TV shows: canceled or renewed?, The Wine Show, The Wine Show: canceled or renewed? The Halcyon: Cancelled or Renewed for Season Two on Ovation?